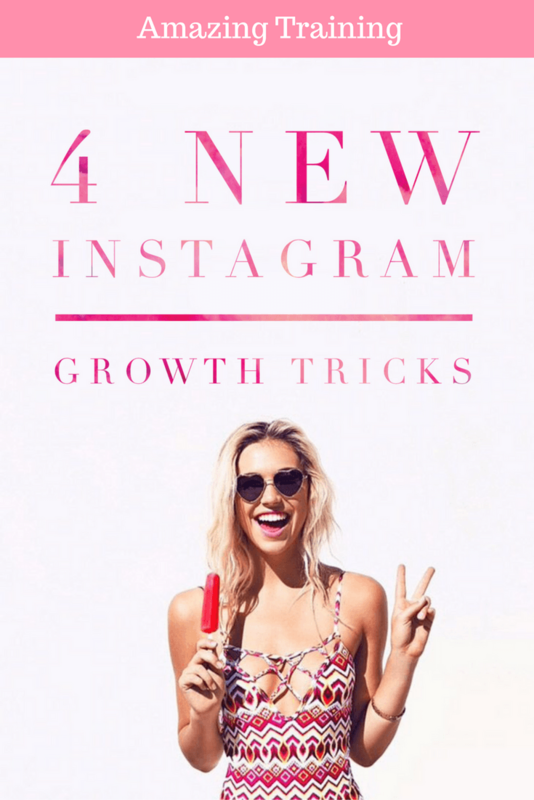 You can gain a growth of up to 1,416% in traffic and 20% in revenue by marketing on Instagram. And if you’re reading this, that means you’re interested in making some money on the platform. I’m going to show you how you can generate up to $3,000 in revenue like Magnolia Boutique and Natori using Instagram Stories. The best part is that you can do all of it in approximately 30 days. Well, the businesses mentioned above have done it, and so can you. I’m going to show you the best practices that top Instagrammers use to generate revenue with Instagram Stories. But what exactly is Instagram Stories? This feature allows users to string together multiple photos to create… well, a story, or something of similar significance. But the feature is open to interpretation with its diverse capabilities, making for a user base that is partly intrigued and partly confused. That’s why we’re going to talk about how you can turn your stories into cold, hard cash. In particular, $3,000 in 30 days. If social media is the king of brand engagement, Instagram is the god. All social media platforms, from Facebook to YouTube, allow businesses to interact with their prospects and customers. But no platform is more effective at actually doing this than Instagram. Businesses find it easiest to build a following and engage with them on Instagram than on any other social platform for various reasons. Mostly those reasons revolve around Instagram’s visual foundation and fun culture. In fact, in a survey of 2,500 micro influencers, 60% said that Instagram was the best platform for engagement. Something about Instagram creates an environment of engagement, even with business profiles that don’t have an individual person behind them. But regardless of why Instagram is so successful at building customer-to-business relationships, we must also consider why that is so important. As it turns out, all of that engagement does more than just make for a good time. It generates revenue for your business. When people engage with you, they trust you and are more likely to purchase from you. One Instagram profile, Mvmt, uses their Instagram Story to build personality around the people behind the business. You can do the same thing with your Instagram Story. Ask a question, play a game, or start a hashtag revolution. The goal is to encourage engagement on your account. The more people who engage with your business, the more people who will trust you. And one thing’s for sure: If people don’t trust you, they’ll never actually buy products you sell or recommend. It’s no secret that consistently updating your inventory helps sales. It’s also no secret that consistently posting content helps customer engagement and brand awareness. But here’s something that’s not so obvious. You can combine those two strategies to become a money-making Instagram machine for your business. By sharing featured products every now and again in your Instagram Story, you can prove to your audience that you’re committed to the consistent pursuit of awesome items, and you can leverage the selling potential of new and featured products. And that claim isn’t just smoke and mirrors. It’s backed by scientific studies. A jam merchant is the center of our focus. When the merchant allowed people to sample 24 different jams, 60% of people did so. When they allowed people to taste only six jams, 40% of people picked up a spoon. But here’s what’s more important. Of the 60%, a measly 3% of people actually purchased jam. In the case of the 40% who tasted one of six jams, a whopping 30% purchased. According to this study, when you provide fewer options, more people purchase. Featuring a new or seasonal product in your Instagram Story is an excellent way to narrow down the consumer’s options. Here’s Juvia’s Place doing exactly that with their Instagram Story. They even illustrate the smudge-free benefits of their eyeliner. And here’s another example from Buffer of the Flora Dress. Featuring just one or two products is a great way to draw customers to conversion before they get discouraged by too many options. And Instagram Stories offers the perfect place for that feature. Since it’s always at the top of users’ screens, your audience can click on the featured item whenever they visit Instagram. Meaning that you generate revenue for your business by simplifying your customer’s buying decision. I don’t blame you. Not everyone in business will tell you to be more honest. But here’s the reality. The businesses that succeed aren’t the ones that hide behind a curtain of deception. They are the ones that have nothing to hide. And the ones that do succeed through deception always get found out and fail at some point. The path of transparency is a far better one. Transparency doesn’t just help you avoid an impending demise, though. It also helps you sell more merchandise. Just consider that one of the top reasons people don’t buy is because of fear. In particular, fear of buying from a shady and untrustworthy merchant. And what’s the best natural antidote to fear? 94% of consumers will be loyal to a brand that they feel is completely transparent, and 73% would pay more for a product that includes all of the details. You can use your Instagram Story to leverage those benefits. Consider this example from Buffer that shows a business working behind the scenes. Or this similar behind-the-scenes look at lornajaneactive. Or this Instagram Story by construction2style that shows workers putting together a customer’s kitchen. There are many ways to create transparency with your Instagram Stories. Tell your audience what you do behind the scenes and show them a picture of you doing it. That simple feat will build trust and encourage conversions when you actually ask for a sale. But, if you’re like most people, you can’t afford to give away loads of free product. After all, the price of free stuff can add up quickly, hurting your pocketbook and overall ROI. However, you know what you can give away for free that won’t hurt your bank account? Or you can create content that’s just for having fun with your audience. Things like Dollar Shave Club offers. Then, you can advertise that content in your Instagram Story. Like this, for instance. What’s the point of doing this, though? Will this actually drive revenue for your business? That’s why every content marketer’s top goals are to generate leads, improve customer engagement, and even increase sales revenue. Because they know the power of content creation. The primary reason for creating and sharing this content on your Instagram Story is to drive traffic to your website in hopes of generating leads and building brand awareness. But if you’re in it for the engagement alone, you can consider posting the content directly in the Instagram Story itself. As you can tell, there are many different ways to give free advice, tips, and strategies to your audience. Above all else, though, make sure that the content is relevant to your audience’s pains and desires. Only then will people engage with your content, visit your website, and move further down your marketing and sales funnel. The ultimate goal of marketing on Instagram is to drive customers to convert. You want them to buy your products, sign up for your service, or subscribe to your special offer. But, of course, people can only do that if they first land on your website. For that reason, driving traffic to your URL is one of the most important money-generating strategies you can possibly pursue. And doing so in your Instagram Story is dead simple. If you don’t pay for an advertisement where you can include a hyperlink, simply include a link-in-bio CTA. Then, when people go to your website, they’ll hopefully browse around a bit and maybe even buy. The fact is simple: The more people who visit your website, the more overall conversions you’ll get. If, for instance, your website sees a measly 1% conversion rate, that 1% will turn into a decent chunk of cash if you have 100,000 visitors. If you only have 100 visitors, however, then you make a single sale. Regardless of your conversion rate, more traffic means more sales. And you can use your Instagram Story to drive people to your website. Before I depart, I figured I’d give you one more piece of advice to potentially generate even more than $3,000 in 30 days. A lead magnet is a gated piece of content you use to generate leads. It works because visitors must opt in to receive the content. They can’t simply click to your website. They usually have to enter their email and other relevant information to access it. And that means the more compelling your lead magnet is, the more people who will enter their information to claim it. Once you’ve created a compelling lead magnet that appeals to your audience, you can share it on your Instagram Story, consistently driving leads and sales. Foundr does this with their Instagram account. And the more leads you drive, the bigger your email list and the more people you can market to in the future. To many of you, it might. But that’s only because you’ve never done it before. For those of you who are already generating that much money, the potential probably seems far more likely. After all, $3,000 is just $100 per day. And you can generate that cash by using Instagram Stories to build brand engagement, feature new and upcoming products, add transparency, give away free content, drive traffic to your website, and — as a bonus — create a lead magnet. 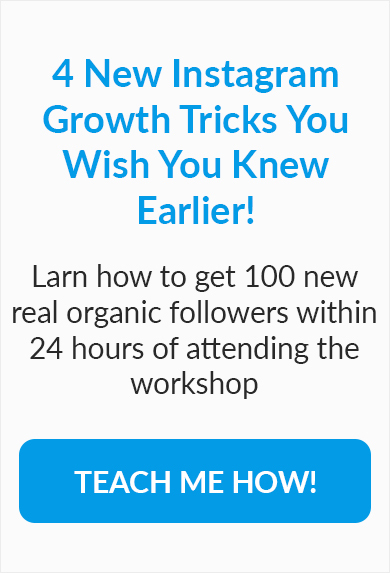 Follow these best practices, and you’ll be among the smartest Instagram marketers around, building trust with your audience, generating leads, and landing sales simultaneously. In no time, that $3,000 will only be the beginning of your Instagram Story.